Once again we took the 1963 Midland Red Bus 5545 from Wythall Transport Museum to the Cotswolds with another band of happy travellers. Our tour on the 25th of June was enhanced by sunshine virtually all the day. Thankfully a little cloud helped to keep the temperature down as our old S16 bus has only rudimentary air conditioning – namely open windows and it relies upon the bus being in motion to keep us cool! 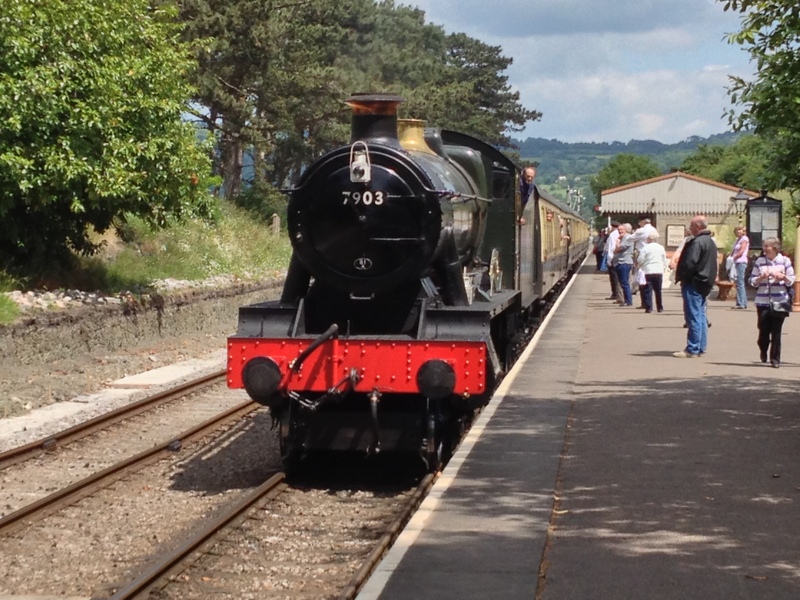 Our journey this week followed our usual format with a run through Alcester to the station at Cheltenham racecourse then a delightful 40 minutes on the Gloucestershire & Warwickshire Railway behind 7903 – Foremarke Hall. This time we were treated to a commentary on the train by the Town Crier. 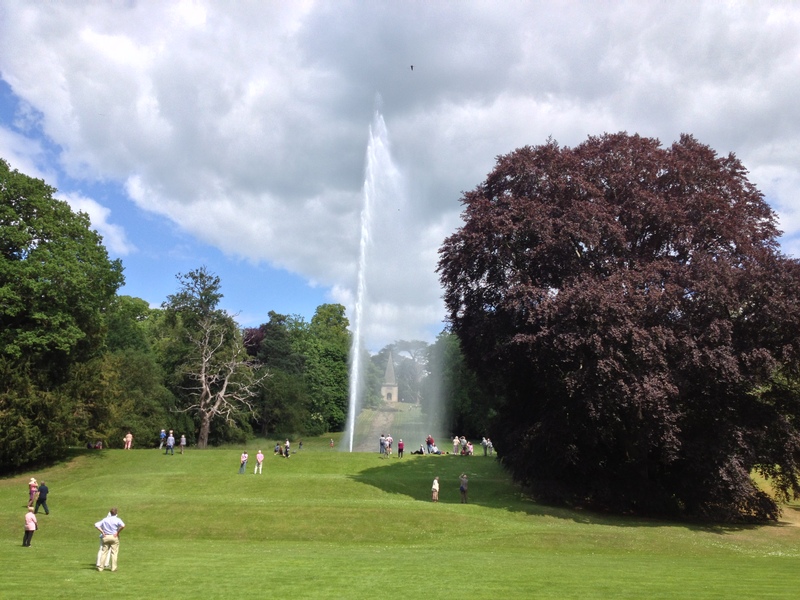 Then off to Stanway House & Gardens to see their magnificent 300 foot high gravity fed fountain. Finally we let our passengers spend their time & money in Broadway before letting them enjoy some ghastly & ghostly tales on our way back to Wythall. For more pictures taken on the day click HERE. Get in touch HERE if you want moire information about our future tours. This entry was posted in Cotswold Bus Trips, Historic Bus Tours, Historic Bus Tours for 2013, Stanway Fountain, Steam Railway, Wythall Transport Museum and tagged Bus Tour, Cotswold Bus Trip, Cotswolds, Guided Tour, Historic Bus Tour, Historic Cotswold Bus Tour, Midland Red Bus, old buses, Outer Circle Bus, Stanway Fountain, Steam Train, Vintage Bus Trip, Wythall Transport Museum. Bookmark the permalink.